Travel across the planet and you’ll find one common dish — crunchy or delicate pockets with spicy or sweet goodness. There is nothing more pleasurable than biting into a delicious dumpling – the fillings and gooey juices combine to create unique flavours. 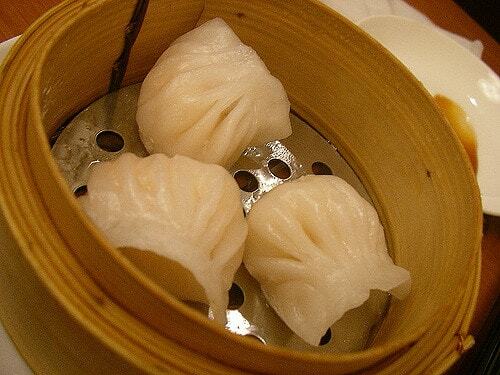 According to food researchers, most dumplings trace their origins to China and Silk Trade Route. 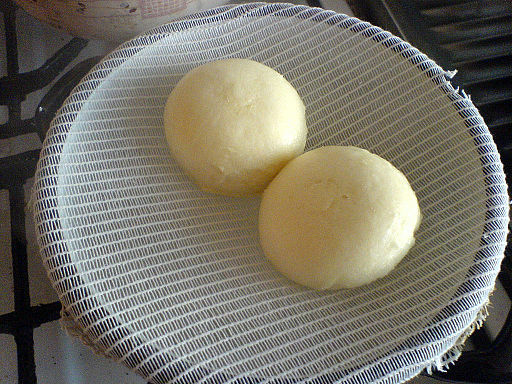 Fillings come encased in different leavened and unleavened dough wraps, with diverse folding techniques, and cooked in varied ways. How do you choose dumplings for a list like this one? For a barbecue and dumpling hybrid, look no further than this dim sum from Canton province. 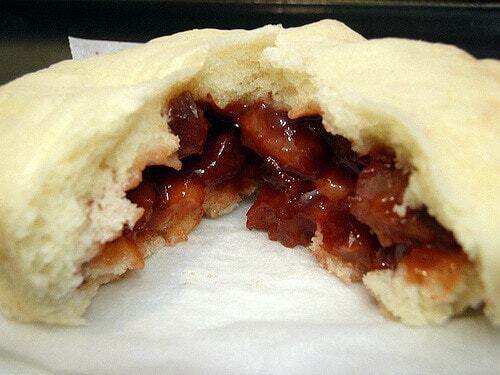 Barbecued pork is stuffed into dough buns and steamed to create a unique dumpling combo. Culinary art meets a hungry Chinese food fan in this boat shaped dumpling with rice dough wrapping. Fill them with cabbage, pork and/or veggies and savour them steamed, boiled or pan fried with some dark soy sauce or peanut sauce. 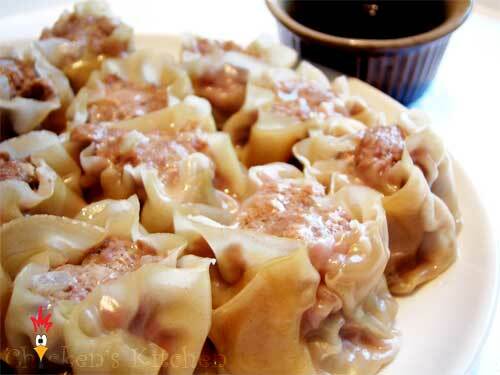 Minced pork or pork-and-crab are covered with wheat dough wrappers. 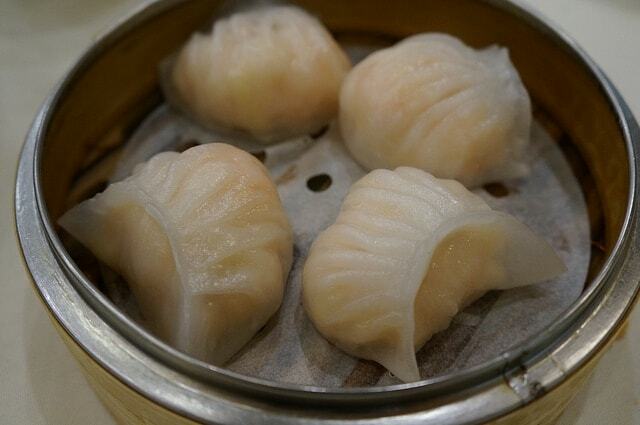 The dumpling edges are pleated in a swirled bun shape and steamed. The cooking process releases a savoury and rich broth for added flavour. The delicate dumplings come in translucent wrappers which get their stretchy character from gelatin. The fillings can be anything from pork and cabbage to shrimp, chives and other vegetables. 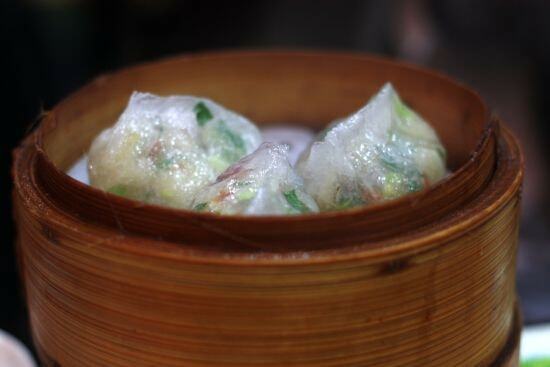 Chunks of shrimp encased in a thin wheat and tapioca based wrapper makes a Har Gow. Sometimes bits of pork are used for added effect. 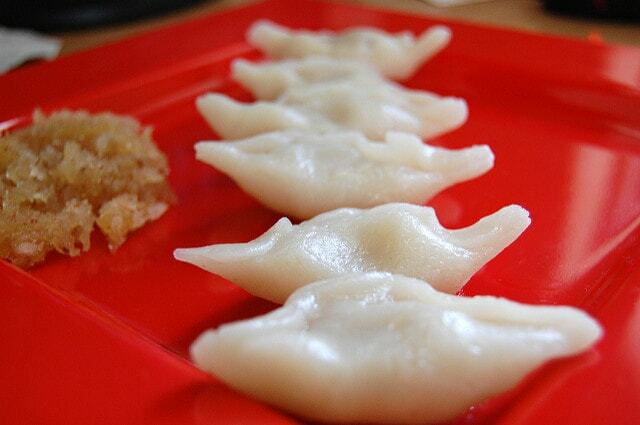 These moon-shaped, steamed dumplings are a bit different from other Chinese varieties. The wheat and tapioca wrapper contains filling combos of mushroom, radish, pork, chives, shrimp, peanuts, jicama and cilantro. 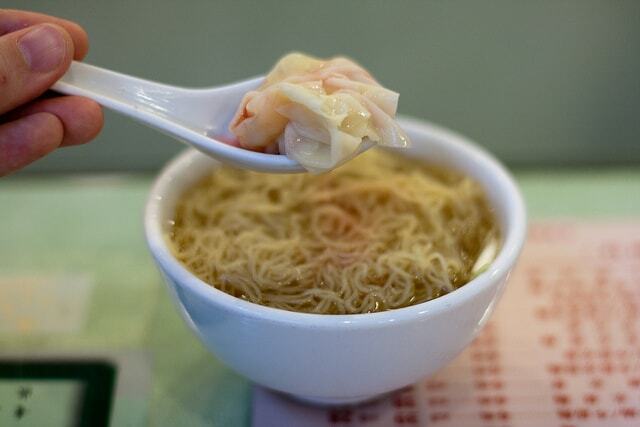 The wheat flour wrapper is open on the top in this version of juicy dim sum. Fillings include shrimp, pork and other meat. 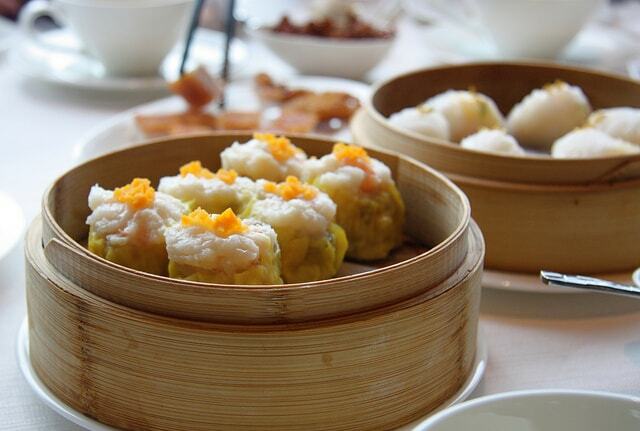 Siu Mai is often topped with grated carrot or fish roe. 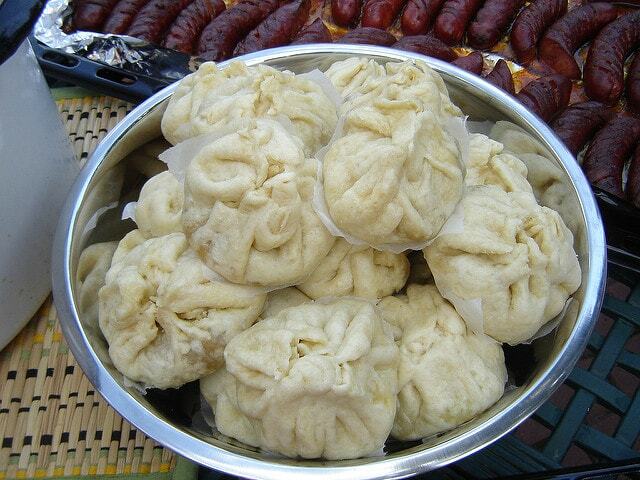 These circular and crescent shaped dumplings are popular street foods. 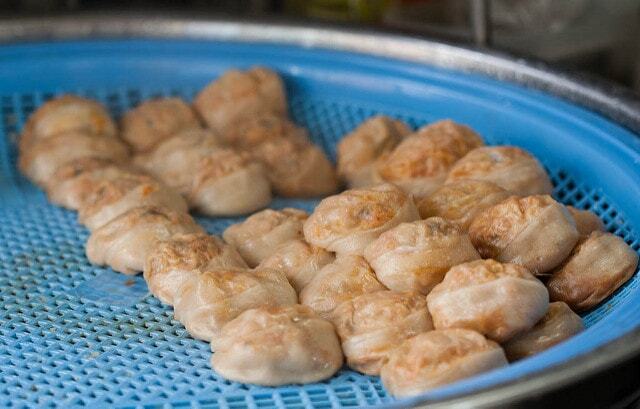 If you love kimchi (fermented vegetables), you’ll enjoy the steamed dumpling version as well. Other steamed and boiled versions use pork and different meat fillings. This sweet bun-like dumpling is made with unleavened dough that is steamed on a linen cloth over boiling water. 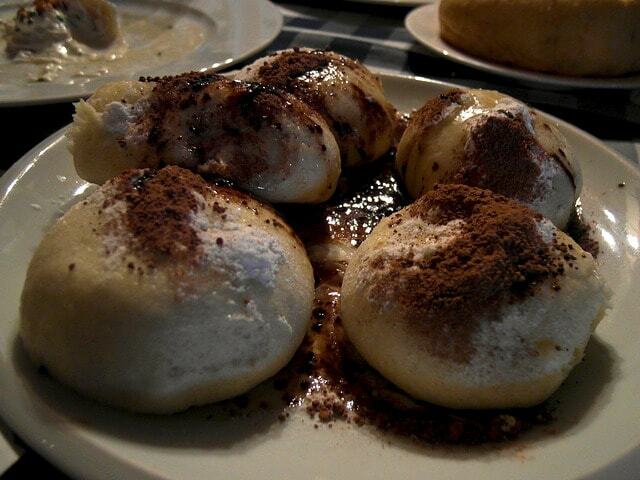 Sweet ones are sometimes filled with melted butter, sugar and cinnamon. Savoury ones contain roasted pork or sweet-sour fried cabbage. The cornmeal dumpling is one of the few that aren’t round shaped. A close cousin of tamale, these spiced vegetable and meat (usually pork and beef) filled delicacies are steamed and served in banana leaves. 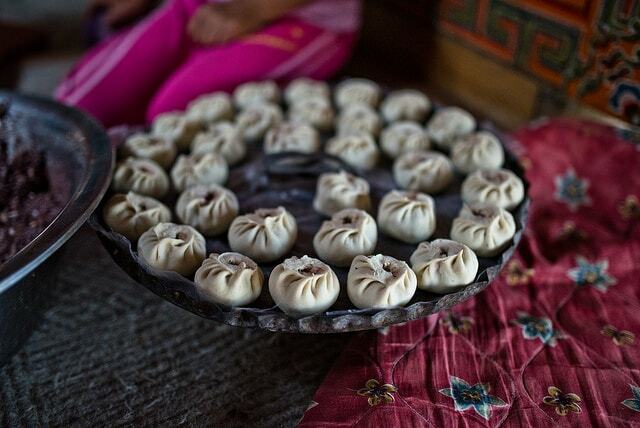 Find inner peace and contentment with these dumplings from Nepal and Tibet. A good momo will have an ultra-thin cover with delicious juices from sauces, veggies and meat (buffalo, yak) dying to ooze out. Stuff anything from mushrooms and cabbage to pork and enjoy. The teardrop or garlic pod-shaped dumpling is usually prepared for an Indian religious festival. The raw rice flour wrapper enhances the sweet taste of the jaggery and coconut filling. 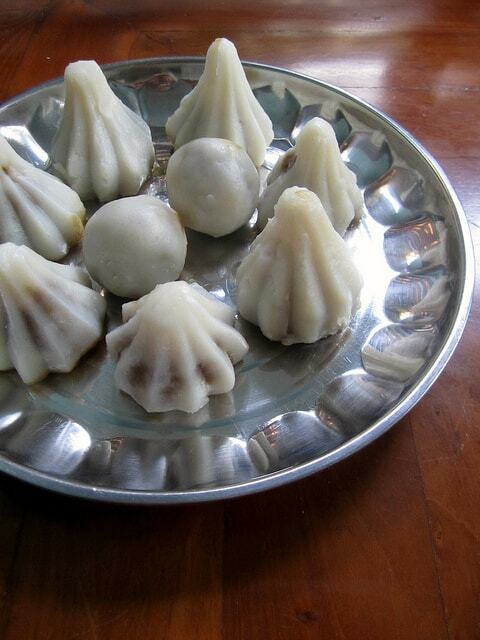 While the sweet version resembles Modak in shape and taste, the savoury version with a rice dough wrapper has a unique taste. The stuffing is usually cooked red beans/Azuki or black-eyed peas mixed with salt, sesame seeds, curry leaves and grated coconut. 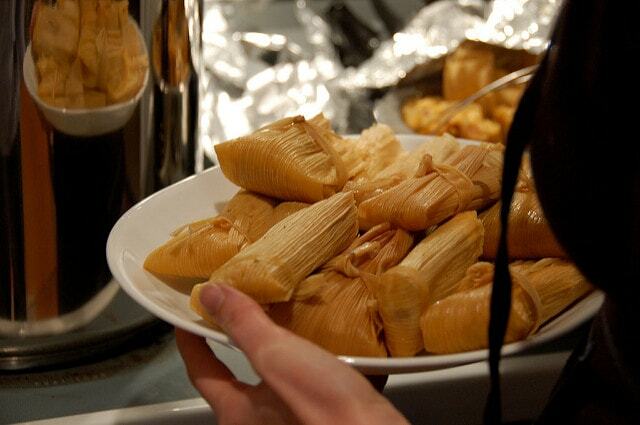 Tamale is to Mexicans what dim sum is to Chinese. Made with cornmeal wrappings, these steamed dumplings have meat, cheese, vegetable or tuber fillings. 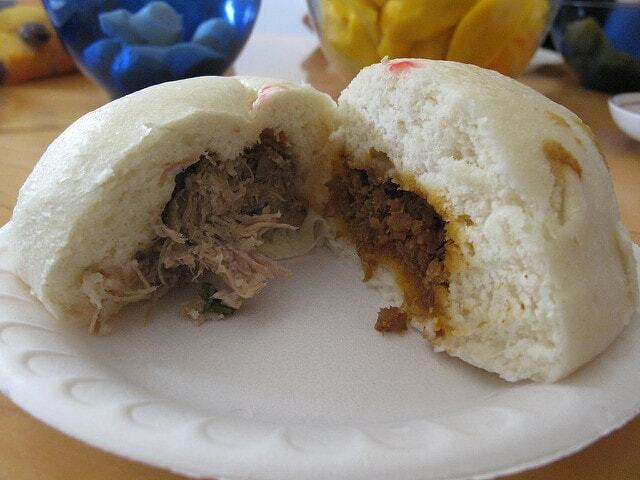 These steamed beef buns are a close cousin of the Chinese Baozi. Chicken mushroom, beef, ube or purple yam, pork hash are common fillings encased in a leavened dough wrap. Square or circular wrappers with vegetables, shrimp or meat are steamed or boiled before they are set in a tasty and spiced up broth soup. 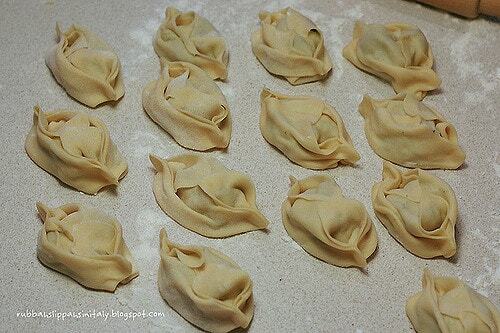 Some steamed wontons can be eaten on their own or with egg noodles. The oval or square shaped, chewy dumpling – khao tom mat has sticky rice serving as a wrap. The fillings can be sweet or savoury. Sweet ones contain coconut and sweet banana fillings. Spiced up dumplings with mung beans and lard are served with sauce and fried shallots. 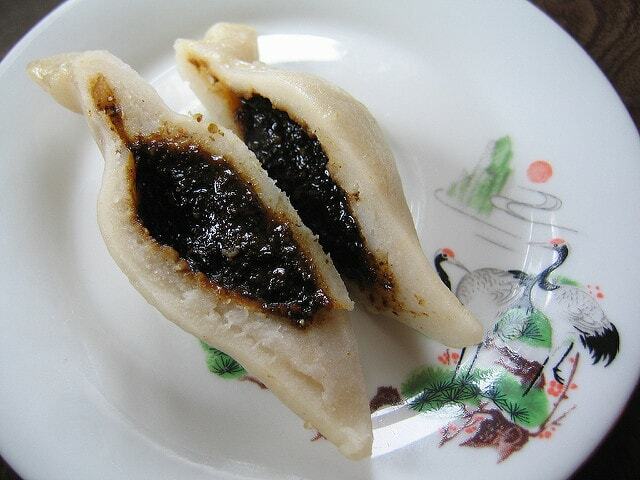 A gift of Mongols and Turkish nomads, this dumpling is popular all over Central Asia. Each country has its own style of preparing mantu which is then steamed, boiled or baked. Turkey and Armenia are famous for boat-shaped baked manti while the Stan countries prefer round-shaped steamed ones. The egg and flour-based wrapper contains lamb or beef meat filling enhanced with local spices. You have rare veggie versions with squash and potatoes. These are topped with tomato sauce or served with yoghurt, lentil sauce or chilli oil. 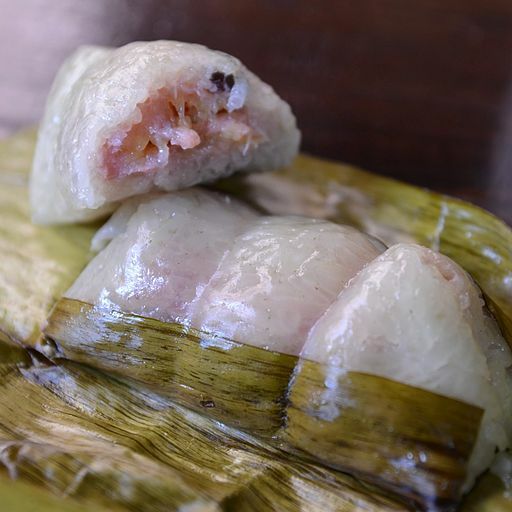 This chewy dumpling has shrimp and pork parts encased in thin tapioca wrapping. The wrapper is sometimes covered banana leaves or folded in a purse or crescent shape before steaming. 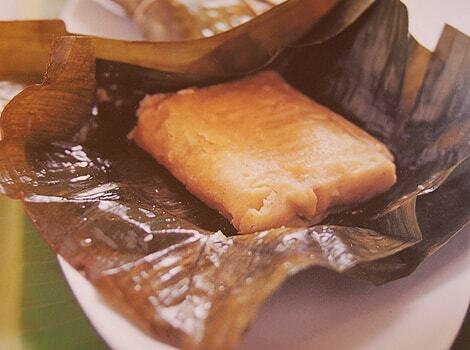 Vietnam cuisine has other Bnah varieties including a tapioca –based dessert dumpling (Che Bot Loc). 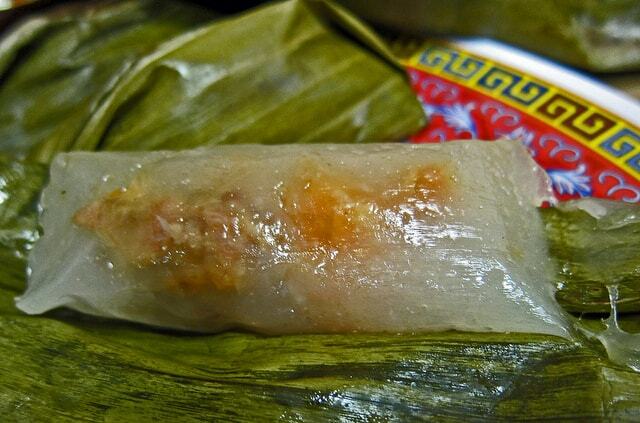 The glutinous rice dough wrapper encases a savoury filling made with cooked mung beans, shrimp and spices. The crescent shaped dumpling is steamed before serving with spicy soy sauce and fried scallions. 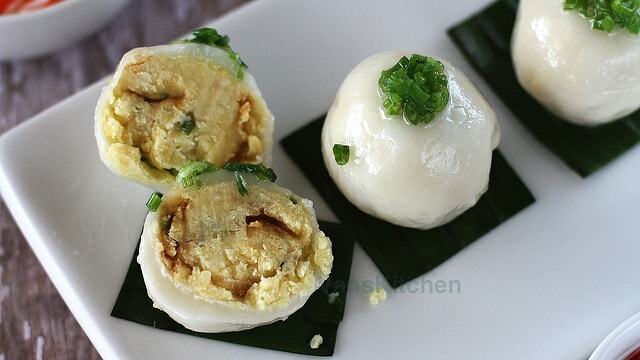 This popular street food is nothing but steamed fish dumpling with rice flour wrapping. It is often served with peanut sauce and vegetables. This Chinese-inspired steamed dumpling has a leavened, rice dough wrapper with a sweetish taste. Spiced chicken is the common filling but you’ll find shredded pork versions. 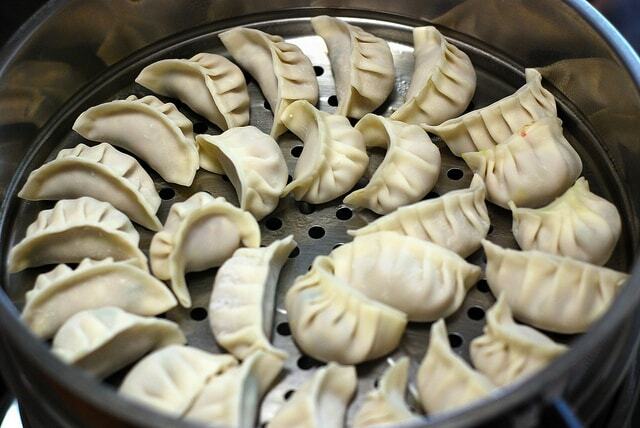 Mongolian steamed dumplings use wheat or a mix of flours like barley, buckwheat and barley as dough wrapper. Buuz is filled with mutton, other meats, garlic, onions and local herbs. These steamed sweet buns with a symbolic triangular shape are made on festive occasions. The wrap is made with rice flour and encloses a rich filling of sesame seeds, coconut, and chakku or molasses. Which of these dumplings will you be trying next? 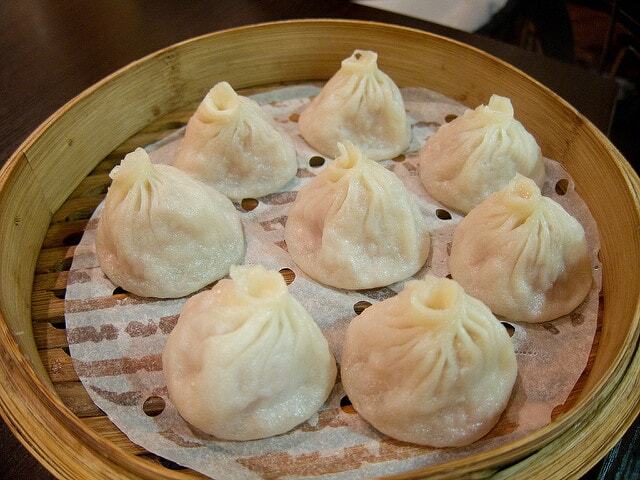 Have we missed out on steamed dumplings in this list? You are right Christina, these are necessary classics! But I guess the are all boiled, or am I missing something? This time we decided to focus on the steamed dumplings (as there are soooo many! 🙂 ), but will definitely explore other methods of dumplings preparation in later articles! Mmmmm dumplings. I am in a dumpling-dominant city, San Francisco. So many different kinds. I like the simple ones filled with just chicken and corn though. Ha.